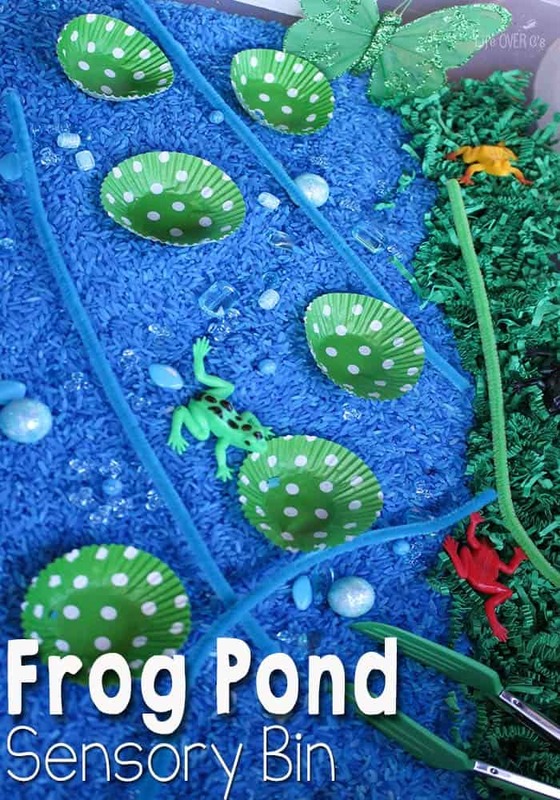 I cannot express how excited I’m about this week’s #PlayfulPreschool theme! Life Cycles!!! 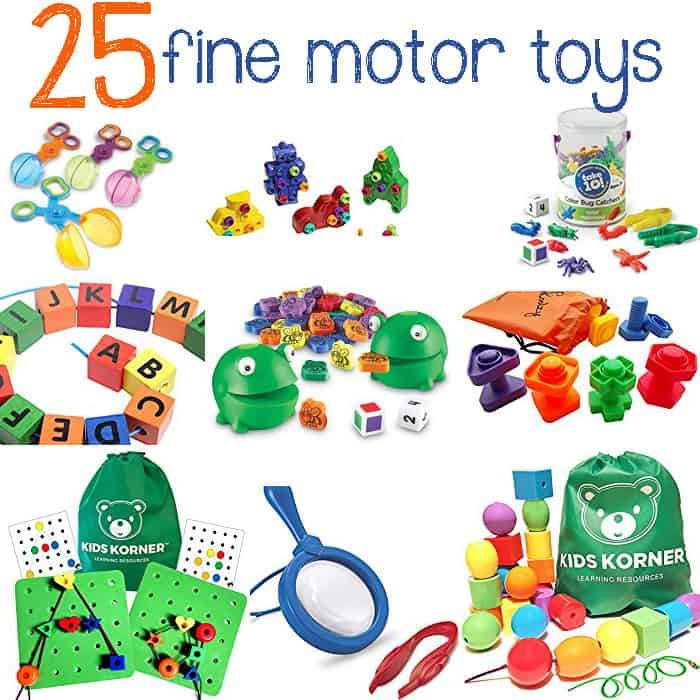 There are so many fun activities to do, not to mention learning about life cycles is so great for little preschoolers! Watching their minds filled with wonder when they realize all the different life stages of so many things! 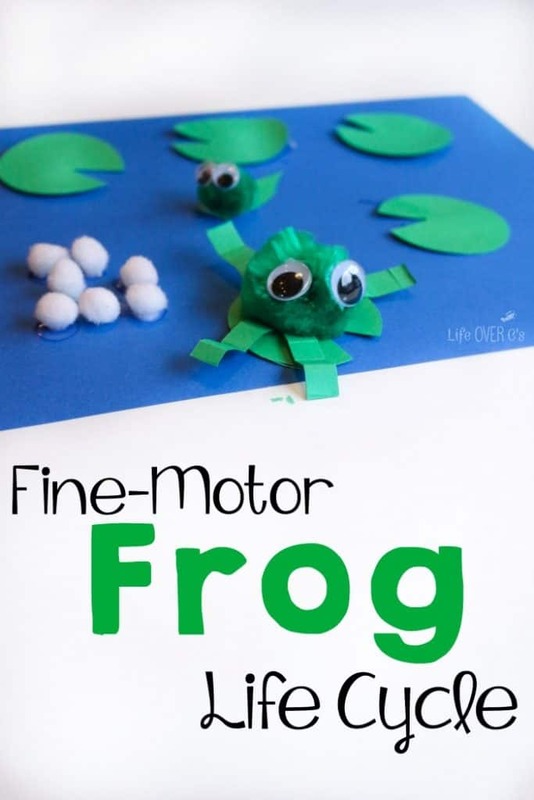 This fine-motor frog life cycle craft was a total hit in our house! Shiloh even gave us all a big surprise when she was done! We started out by creating the frog eggs. Shiloh didn’t understand what we were doing at this point, but picking up the tiny pom poms was great for building her fine-motor skills. I put the glue on the paper and she matched the pom poms to the glue dots. Then, we created our tadpole. Because Shiloh doesn’t know how to use scissors yet, I cut out the tail for her. Then I added the glue and she attached the pom pom and eyes. Now she was getting excited! I cut a strip of paper off the short end of the construction paper and made tiny accordion folds. Shiloh thought that was fun! I cut that strip of paper into fourths for the legs. After gluing the legs together, we glued the big green pom pom in the center for the body and then added the eyes. We used the 2″ circle punch to cut out some lily pads. We cut a little notch in them just for fun. Then Shiloh arranged it all for us. Then we worked on language skills…. She was so enamored by the whole craft that she was willing to work! We practiced: eggs, tadpole (taa-poh! ), froggie, and my absolute favorite lily pad (wiwy pahd!). She was doing so great that I had my husband turn on the video camera, but as things go, as soon as she knew he was recording, she put on her all-knowing grin and refused to open her mouth again…lol! All in all we had a blast! I hope you will enjoy this as much as we did! 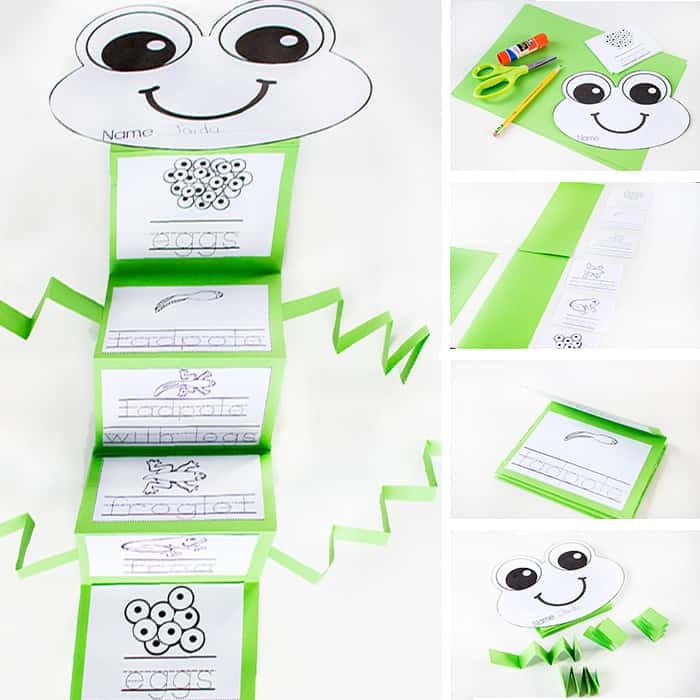 What a fun collection of frog activities!!! 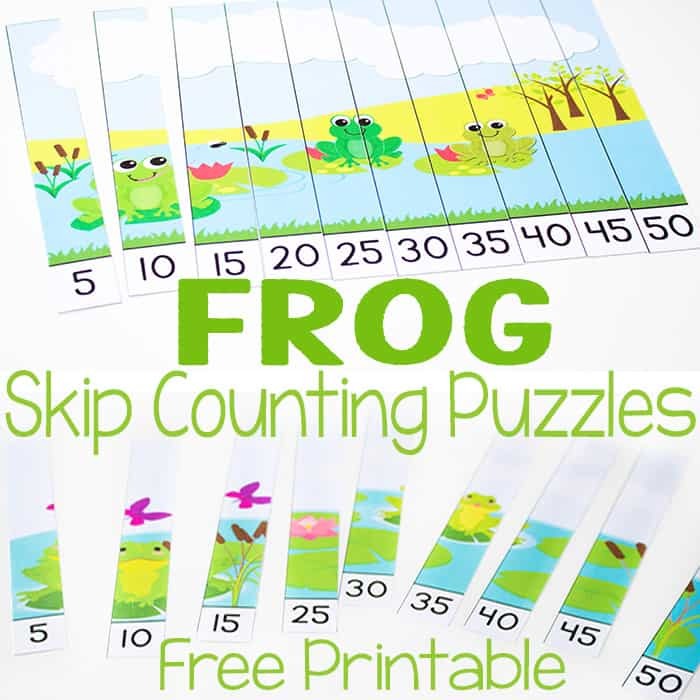 Folding those frog legs would be great fine motor practice for my preschooler. 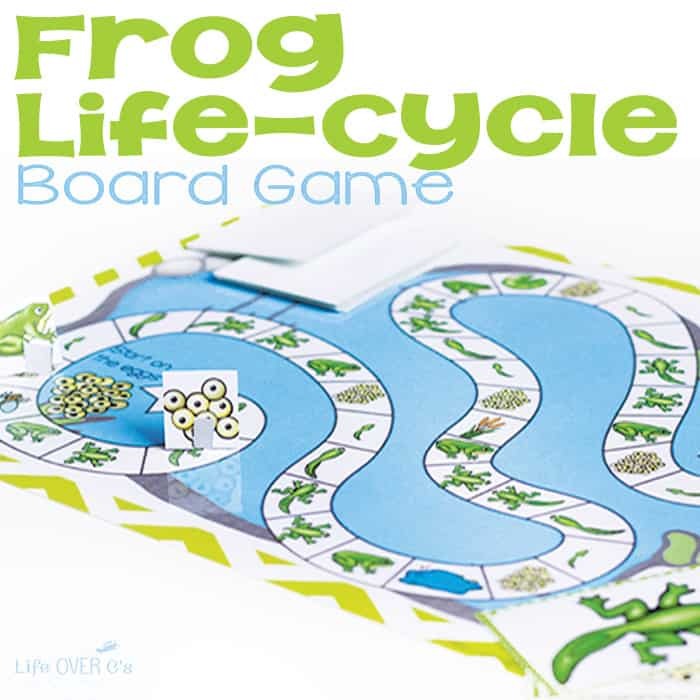 The frog life cycle is a great way to explain how a frog becomes a frog. 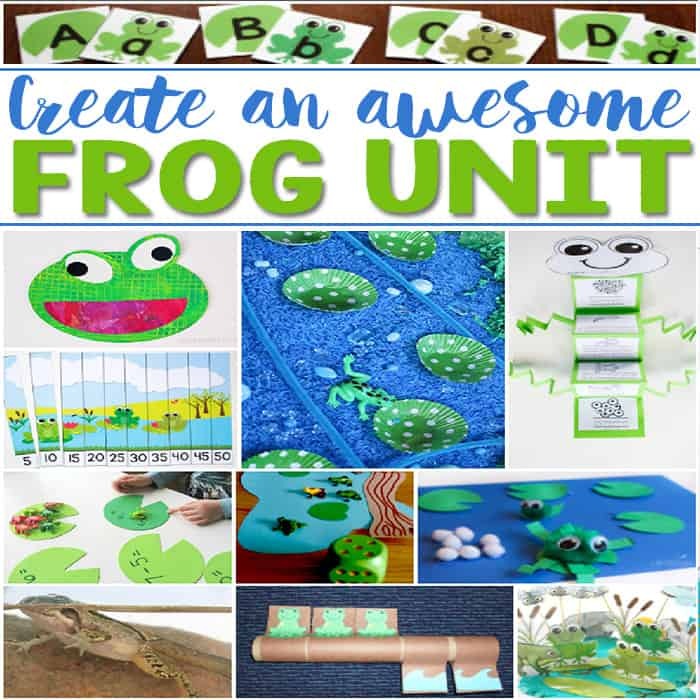 We have been doing the Letter F and have read a few books dealing with frogs, this would be a good addition to the books. We have a built in pool that isn’t used as a pool anymore but it becomes a home to frogs in the spring thru to the fall when the weather turns cold. We also have a pond on the farm where we go to see the tadpoles, frogs and turtles. I think my granddaughter will enjoy doing this craft, she is turning 3 in April. Keep up the good work sending fun and educational lessons out. Thanks, you make learning fun. That would be so fun to see the frogs up close! So cute – We will be building our own pond. Thank you. 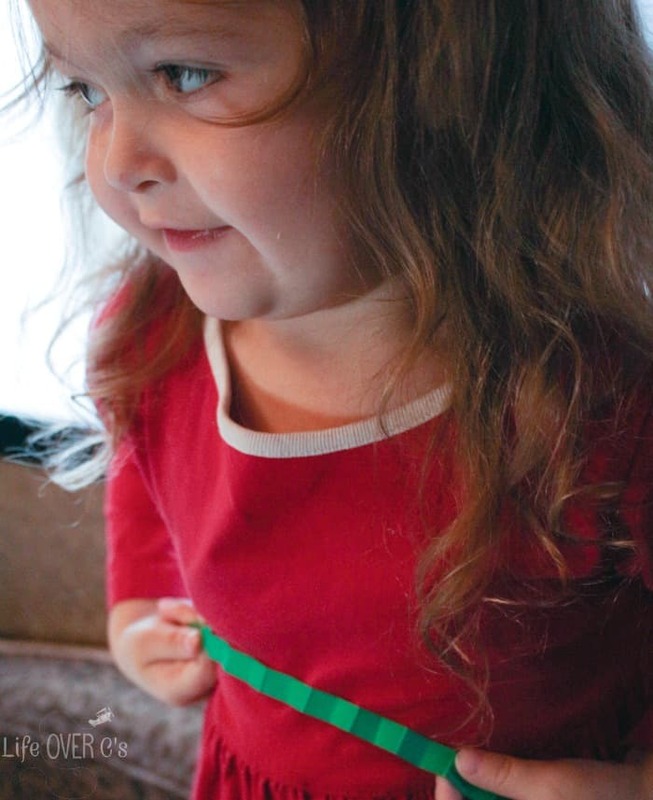 Shiloh looks like she had a blast with this fun project! I know our kids would love it too. This is a great way for us to use some of our pom poms. Thank you! I bet your kids would enjoy it!! We love learning with our craft supplies. This is really cute, Kim! Too bad you couldn’t get video. I always get wrapped up in the activity and forget! Googly eyes just make everything more fun! So adorable! Both the project AND her photo with the accordion paper! 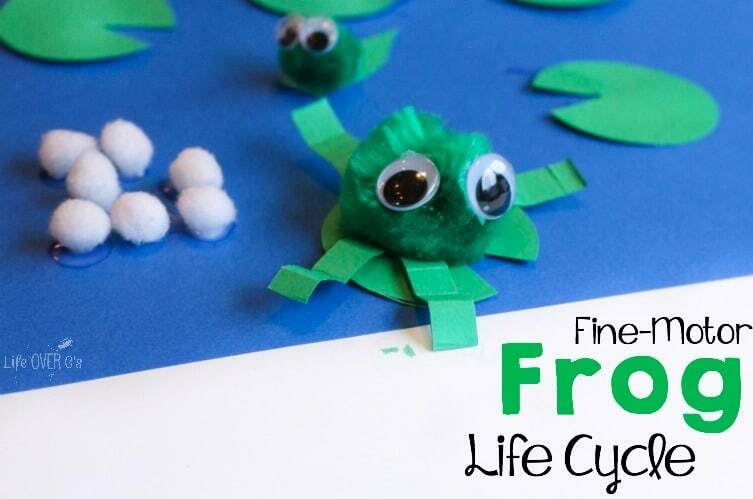 I love this craft — such a great hands-on way for little ones to learn the life cycle. THanks! Such a cute craft.We didn’t do a craft at the end of our week for life cycles and I will now be doing this this Saturday to make up for it.